I have listened to "BACKLOG" and thought to myself that, having created a most unique concept on both "PARTING SHOT"(2011) and "SUBTEXT"(2014), there must be a sense of fulfillment, as this new recording might well be the final album as part of a trilogy of contemporary Latin Jazz. My first question is, what was the concept behind making this album during the entire production process? [SK] Thanks so much for the kind words about the new album. Honestly, when I recorded "PARTING SHOT"(2011), for reasons of the health and condition of my left hand, I thought that that album was going to be the "final album" - not part of any trilogy at all. Then, when I decided that I still felt well enough to record "SUBTEXT"(2014), I was even more certain that that album would be the "final album." But, as 2015 unfolded, I came to the simple conclusion that, I just do not feel 'alive' unless I am creatively involved in the formation of new music for a recording. And so, I decided that, while I can still do it, I had to do everything possible to try to record again. And, this is what has now become: "BACKLOG." Each recording has its own story, even if it might seem as though the personnel is not changing all that much from album to album. Putting all the elements together is always difficult for me, and if I did not employ a production coordinator, Jill Dell'Abate, to make all the scheduling of the musicians, studio, and engineer, I would never survive the process. It has just become too stressful for me. Having to self-finance all of these albums is difficult enough, but making all the endless phone calls and negotiations is just a type of "work" that I have no patience for. I only want to know WHERE do I have to be, and WHEN do I have to be there? Knowing this, I only have to concentrate on the music, the arrangements, and my own personal preparations for playing. Everything begins with the selection of the music, the material, and choosing the right players. As always, I wanted to compose some new pieces for the album, but, for whatever reason, nothing seemed to be forthcoming that I could feel good about, and so, I decided to, yet again, interpret music, compositions, that have had a great significance for me - both musically and personally. As it has been since I began to become more familiar and conversant with all the technologies of today's music and recording, I always try to begin by making really good demos for each of the tunes. To do that in the best possible way, considering that this IS Latin Jazz, Latin music, I have been lucky to have had Marc Quiñones' CD of Latin Percussion Samples, originally recorded for LP(Latin Percussion) in 1996. This CD resource is really hard to find now, but it has been saving my life for years!!! At the beginning of this brilliant musical tool, Marc plays full examples of 9-12 vitally important Latin grooves, and then gives you each individual part(conga, timbal, bongo, campana, güiro, etc.). So, one can cut them up through digital editing, and apply the sample to one's chosen tempo. And that's what I try to do. Once that step is done, when I feel ready, and have then written out a basic lead sheet for all the pieces, I try to have a face-to-face meeting with Marc Quiñones, and we sit together at the computer, and listen to ALL the arrangements, in order to make certain that I have not misinterpreted the clave anywhere. Once I have his approval, or have made the changes that he might suggest, everything is then ready to go - and I can continue to refine things. Next, I spend some time with my dear friend and most respected musical compatriot, Rob Mounsey, and we do any and all of the pre-production that is necessary. When that is finally completed, usually, I am ready to record. But, getting to that point, arriving at that moment, is never, ever easy. It's always stressful and difficult for me. I am always struck by your album titles. What did it mean to you when you named this album, "BACKLOG"? [SK] If I was to use the word "backlog" in a sample sentence, I might say something like this: "I returned home from a tour to a backlog of mail, and things that needed to be attended to." So, if I was to apply the same word to this album, and now it has become the album's title, I would say that, "for a long, long time, there has been a backlog of songs that I have always wanted to interpret and to record, and now, THIS is the moment to do that!!!" I felt that Mark Walker gave a fresh feeling, and injected some youth into the album, because his rhythmic support is wonderful. Could you please tell us, how did you meet him, and the reason why you chose him? What do you feel are the strong points of his playing, especially where Latin music is concerned? [SK] I'm so pleased that you enjoyed Mark's contributions to this music, and to the album. Yes, he did a spectacular job, and was an absolute pleasure to work with in all aspects. He's a superb musician, a great drummer, and a wonderful person! We actually met for the first time between 1999-2002, when I was a co-leader of the Caribbean Jazz Project, alongside Dave Samuels and Dave Valentín. I believe that we did one series of nights @ New York City's Birdland where Mark was the drummer. Since then, I have been following his career, which of course includes his membership in the incredible group Oregon, featuring my old friend, the brilliant Ralph Towner and Paul McCandless. 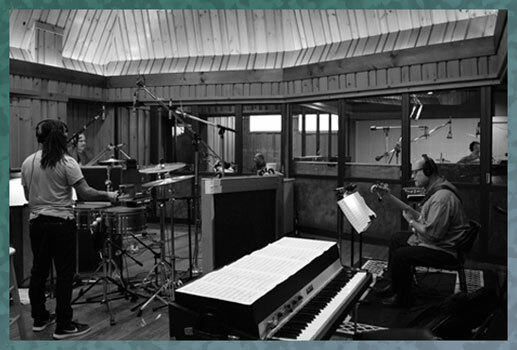 Mark also continues to be deeply involved in Latin music with Paquito D'Rivera's group. However, it was Mark's playing on a Mariana Ingold-Kit Walker Project that really caught my ears, as I loved what he played on the tune "Vuelo" and how he sounded as well. But, in the process of recording an album, nothing is this simple. 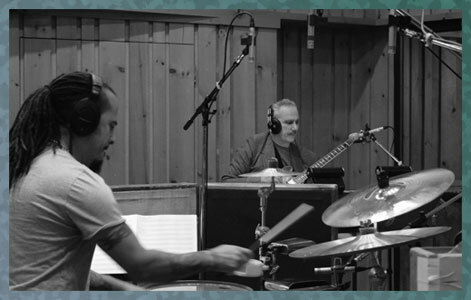 To be completely honest with your readers, as I was with Mark, my original desire was to have Dennis Chambers be a part of this recording, just as he was a crucial part of both "PARTING SHOT" and "SUBTEXT." Sadly, no matter how many ways Jill Dell'Abate tried to arrange the rehearsal and the sessions, she just could not put Dennis' schedule in alignment with everyone else so that we could all be in the same room(s) at the same time!!! It was terribly sad for me to know that I had to do this without Dennis - both musically and personally! But sometimes really difficult decisions have to be made, and worse than that, sometimes, they must be made quickly!!! The truth is that Dennis really does not know all that much about the intricacies of Latin music, so his approach to what I am doing with it is totally instinctual. But, for me, his instincts are fantastic and, he has a way of striking the core of what I'm looking for from the drums, and for the music as a whole! At that moment, Mark Walker was really, for me, the only logical choice to make. In general, in Latin music, contemporary or not, the drums do NOT have any kind of fixed role in the music. Drums virtually never appear on any of the music that is considered to be CLASSIC from the years of the greatest Salsa. So, it takes a special player to be able to fit in well with conga, timbal and all the hand percussion. Does any drummer know "what to do" in the context as well as a Latino drummer would approach it? Probably not. But, for me, as the leader, it is not about being 100% Latino in approach - it is often about having a background that calls upon R&B and Soul music, but also everything that is embodied in the word Jazz too. That doesn't mean that one is necessarily bringing the spirit or feeling of Elvin Jones into this music. It's more about attitude, mood, and flexibility. Mark Walker has all of those qualities, and knows a great deal about Latin music. Also, his wonderful personality enables him to take direction from all sides, and that means from: Marc Quiñones, Bobby Allende, and Rubén Rodríguez with regards to the Latin elements - and then, from me, relative to the overall feeling that I'm trying to convey in each tune. I am so impressed with this song line-up, because, as always, it reflects your concepts beautifully. Firstly, "Criss Cross" by Monk. You said in an earlier interview that, "It is challenging for me to play Monk's tunes on guitar." And I hear very challenging and interesting guitar playing beginning right from the Intro this time as well. Please tell us why you chose this tune, the idea behind the arrangement, and what you want us to take away from it when we are listening, etc.... By placing "Criss Cross" 1st in the sequence, were you trying to give the meaning for an expanded view of the entire album? [SK] As everyone already knows, I love Monk's compositions and, over the years, I have recorded many of them. I happen to feel that Monk's tunes have a way of fitting into a Latin context, as if they were made to be interpreted in that style. Going back to Jerry González' "RUMBA PARA MONK" CD from 1988, that album really showed the way - at least to me!!! Apart from the fact that I love Monk's two interpretations of "Criss Cross," and each one approaches letter [B] in its own way - one with only 6 bars, and one with 8 bars, but each one has 3-bar phrases within it for the main melodic material. For my arrangement, I chose to use 8-bars, and made two 4-bar phrases. This as opposed to two 3-bar phrases. Many people might have forgotten about it, or never even heard it, but the great pianist, Kenny Kirkland recorded a Latinized version of "Criss Cross" on his GRP CD from 1991, which included players like Andy & Jerry González and Steve Berrios. They interpreted the tune as a guaguancó. It's a wonderful arrangement, and so good that it is hard to escape its influence. It took me years to find a way to do the tune in a way where I could put my own stamp on it. Finally, the ideas began to come to me. The opening guitar montuno is a huge part of it, because it gives the piece its flavor from the top, and separates this version from all the others. The montuno is played on the guitar in 10ths with my thumb and 2nd finger. Some people who have heard the album actually ask me if it was two separate guitar parts. I can only smile and laugh, because it's just me playing it at once and all by myself. But perhaps the articulation makes it sound like two separate lines. Always fascinating what people hear in music. I would also want to point out that Rubén Rodríguez' choice to play his Baby Bass on 7 of the 10 tunes on this recording is a HUGE element to the overall sound and feeling that we, as a group, are presenting. For me, the Baby Bass gives so much character and body to the sound of the low-end of the audio, not to mention the kind of bounce that it provides where Latin swing is concerned. Needless to say, this is very much like having the presence of an acoustic bass. When choosing a song to open an album, I am always searching for that one song that captures something about the project, the music, as a whole. I must tell you that "Criss Cross" was NOT always my first choice to open the album!!! But, after much thought and discussion with friends and colleagues, I felt that "Criss Cross" was the most transparent texture of all the tunes, and that it could immediately be connected right back to "PARTING SHOT" and that, of course, is hugely important to me. As you have already correctly identified - these three albums are all tied together - they are, in truth, one long piece of work that extends over a 5-6 year period - but, really over the course of my entire musical life. In the end, for me, "Criss Cross" sets the mood and the pace for the entire album, and that's what I look for in any opening tune!!! It never means that this is the "best" tune, or my favorite tune, or that, in some way, I believe that people, fans, radio people, music critics, are going to like this tune the most. No!!! Those considerations play NO PART in my decision making process!!! The second tune, "Concepticus In C" by Greg Osby has a strange rhythmic feeling. I think this tune is very challenging to play on the guitar as well. Why did you choose it, and what is the concept behind the arrangement. [SK] My friendship and musical relationship with Greg Osby and his music goes back to 2003 and a European tour with Terri Lyne Carrington, Greg, Jimmy Haslip and myself. During that tour, we played several of Greg's tunes, including: "Heard" which appeared on "SUBTEXT" and now, of course, "Concepticus in C" appearing on the new album. I loved both tunes from the moment that I heard them, and yes, for me, they were extremely difficult to play. But, what musician does not enjoy a challenge? Just as we did for "Heard," the melody is bolstered on both register sides by the combination of piccolo and bass clarinet. These sonorities contribute greatly to the very quirky feeling of this most jagged melody. Though both of Greg's tunes, that I have chosen to interpret, were played with a Cha-cha-cha groove, which is, perhaps, the most simple and most appealing, especially to non-Latinos of all the Latin feels. This particular arrangement really took me a long time, because, first of all, as I know it, there is no written melody to the [B] section as Greg just improvises over it, and, on his lead sheet, that section has bars of 7/4. So, I chose to listen to his playing on the original version from his Blue Note album "ZERO"(1998), and mp3s of our live performances, and I extracted various phrases of Greg's, and then rearranged them into the melody that you now hear at [B]. Then I had to write out a keyboard part that harmonizes and supports the melodies and the herky-jerky feel. As always, I do this work knowing how beautifully that Rob Mounsey will interpret what I've written. I also had to compose a series of chord changes over which to improvise that would be related, in some way, to Greg's composition. One of the great joys of recording a piece like this is to listen to the brilliance on timbal of Marc Quiñones. His musicianship alone is superb, and seeing him interpret such a complex melody, rhythmically speaking, is just thrilling beyond belief. I really love this performance, if only for that. An interesting footnote: After sending Greg a file for the completed interpretation of his tune, I asked him: "Why is the tune titled Concepticus in C when the tonal center, to my ears, seems to be more connected to 'D'?" Greg wrote back that, the title has nothing to do with tonal centers or anything like that, it's a nod to Steve Coleman, with whom Greg used to bounce a lot of musical ideas off of. So, Steve Coleman, is the 'C' in this concepticus!!! You also chose two wonderful standards, "Our Town" with lyrics written by your farther (Sammy Cahn), and "Emily" by Johnny Mandel. Please tell me the reason that you chose them. [SK] As has been documented many times, I did not enjoy a particularly good relationship with my father, so it is never easy for me to decide to interpret one of his songs. The last song that I recorded of my father's was "You're My Girl" which appeared on "BORROWED TIME"(2007). Usually, I try to pick a song that very few others have chosen to interpret. In that regard, "Our Town" is no different. Since childhood, I've always had a very warm feeling for this song, which was written specifically for the NBC play televised live as part of their "PRODUCER'S SHOWCASE"(1955) version of Thornton Wilder's great play of the same name, and would star Frank Sinatra, Paul Newman and Eva Marie Saint. Ironically, the Emmy winning song, "Love and Marriage" came from that same program. But, of course, I always loved the much less popular, nor well-known theme song, and the beautiful Nelson Riddle arrangement. For my interpretation, I chose to combine two rhythms, the "Afro" beat from the conga, and the more traditional bolero rhythm supplied by the timbal and maracas. The finale of the piece goes into a cha-cha-cha. Rob Mounsey's gorgeous orchestration and orchestral arrangement, added to my original sketch, is really the fulfillment of a wonderful dream about what this piece could be. During the solo, there's a brief moment where I quoted a fragment from something that Eddie Palmieri played on the "Poinciana" recording with Cal Tjader many years ago. It's nothing that anyone would notice without my pointing it out, and even then, it does not draw much attention to itself, as it shouldn't. On each of the recent recordings since "BORROWED TIME," I have tried to do something new and interesting with the Afro-Cuban 6/8 feeling. For this album, after a great deal of thought, I wanted to see if I could actually do a ballad, retaining its beauty while still having all the expected rhythms from the mambo bell and conga playing. They would be joined by Rubén's baby bass. In contrast to those elements, Mark Walker and I would be, in essence, playing in 4/4(in two) against that. To put all of this into practice, I chose Johnny Mandel's gorgeous song "Emily" which I have adored for the longest time. As it is often played as a ballad in 3/4, I knew that it would fit perfectly with the rhythmic concept that I had in mind. I have always been especially fond of the Paul Desmond interpretation with its wonderful arrangement by Don Sebesky, and the omnipresent piano of Herbie Hancock from his 1968 album titled, "SUMMERTIME"(A&M). I just had to find a key that would feature the guitar in the nicest possible register. I decided that, for me, Bb major would be the best of all the options. During the solo section, I also felt that a brief modulation might be just the perfect touch, and after one failed attempt, I came upon a transition to E major for 16 bars, and that proved to be just right. as it took me away from all the harmonic areas that the tune had previously touched upon. Though I had laid out some basic string pads à la Clare Fischer, Rob Mounsey turned that foundation into something far more beautiful than I could ever have imagined. Now, this is one of my favorite pieces on the entire recording. It's always very emotional for me to hear it. For me, like Paul Desmond and Jim Hall, this is an expression of trying to play melodically while soloing as one continuous thought, as one line moves into the next. I found it to be a great surprise that you chose to record "Go Home" by Stevie Wonder, and really enjoyed its heartwarming funky Latin arrangement. Please tell me the reason why you chose something from the non-Jazz repertoire, moreover from Stevie, and how did you feel playing it. [SK] Again, I'm so glad that you liked this surprise inclusion on the album. As always, there's a story here. Stevie Wonder's "Go Home" is a tune that I have loved since first hearing it on his 1985 album, "IN SQUARE CIRCLE"(Motown). It is so fascinating to me how so many great musicians and composers relate to their own sense of what Latin music is, or might be. The cowbell patterns, if you can call them that, that appear within Stevie's original version, have nothing at all to do with any of the classic mambo bell or cha-cha bell patterns known to most musicians and fans of the genre. So, given that, I felt that I could do a loving interpretation of the tune, but with a more authentic approach from the rhythmic side of things. Within my arrangement, I decided to alternate between the Oriza rhythms, and what Marc Quiñones describes as a double-bell pattern for most of the body of the song. I had never really heard something like this until, totally by accident, I saw a YouTube video of Marc demonstrating his Pearl Salsa bell. Along the way, I wrote out a couple of reharmonizations for one of the contrasting sections to the main melody, and again, those sections were performed to perfection by Rob Mounsey. This is also the only tune on this recording, and since "Zancudoville" from "PARTING SHOT," where I played played with a very particular kind of Gibson 335 overdrive sound - one which I love very much, because of the nasty, wicked feeling that it conveys. This is the first time in ages that I can recall covering an R&B tune from the past. As you have noted, normally, I would never do such a thing. But then again, Stevie Wonder is one of the most special singer/musician/composers that we have ever seen on this planet!!! So, it was an honor to try to interpret this song of his. As for me, I feel completely comfortable playing this way especially because the sound and style is right for the song, and that should always be the first consideration. "Latin Genetics" by Ornette Coleman, you have said about him that, he is "one of the most respected and influential jazz composers along with Thelonious Monk." He recorded this tune on "IN ALL LANGUAGES"(Dreams) and interpreted it with two different bands: The Original Quartet and Prime Time. I enjoyed your version, which is very danceable and full of joy, considering the two versions by Ornette. Please tell us how you arranged it with such a fresh and innovative interpretation? [SK] The truth about how I came to fall in love with this "newer" tune of Ornette Coleman's was that, quite by accident, I happened to see some concert footage of the "reunion" concert of Ornette and the original great quartet once again @ YouTube. During the recording of the past two albums, I had hoped that we would have played something as a plena by now, but each time that I did a demo, and used that rhythm from Puerto Rico, when the rehearsal arrived, as it did for "Bye-ya" from "PARTING SHOT," Marc Quiñones would say to me: "No, we're going to do it as a bomba!" And that was the end of the discussion! This time, I begged and pleaded, and he granted me my wish. Randy Brecker's appearance on trumpet is, for me, one of the true high points on the album, I just love everything that he played, and what he played served to inform my own playing as well. So much of Randy's linear style is encompassed within this particular solo. For me, it's just a classic, right down to the very end, and his final phrases over the final held chord. By the way, those brassy horn stabs, that appear in the refrain, were all played by Randy. I wrote out that singular voicing, all 5 notes, and Randy played them, via overdub, and through technology, Rob Mounsey and I then placed them throughout the song. I think that it's important that we never forget that Latin music, no matter what the country or the sub-genre might be, it is all music that is intended for dancing. Though few Salsa dancing fanatics would want to dance to most Latin Jazz, because there are no vocals, and the vocals are so important to them. So, if a listener finds any of this music, on the past 3 albums to be danceable, then I would personally take this to be a high compliment. It's funny to me that people see this tune as being so "happy" - I actually see it as a rather dark piece of music, one with many sinister and even humorous qualities. But, I can't control how others are going to view it. For me, on this album, this tune marks the first appearance of my usage of the DVP-1 harmonizer effect which I have described as my own psychedelic guitar "big band" inspired by something that I used to hear Joe Zawinul do with his Prophet synthesizer!!!! I have been using this device since I recorded "PUBLIC ACCESS"(GRP) in 1989. On "Invisible" another tune by Ornette, you created a completely new vision of the piece, and featured, Bob Mintzer. Please let me know the reason why you chose this tune, why Bob, and how were you record it from a logistical standpoint, as Bob lives in Los Angeles and you live in New York? [SK] This second Ornette Coleman song from a very different time period in his visionary career, "Invisible" comes from one of his earliest albums in 1958, "SOMETHING ELSE!!! "(Contemporary), and it is one that originally featured an acoustic piano. Every time that I have heard this tune, I have felt that Ornette's playing, and his improvisational concepts were a bit constricted by having the chords and the chord changes applied so literally. There seemed to be the absence of space. So, in my interpretation, though there are chord changes to be sure, both Bob Mintzer and I play pretty much unaccompanied, and that's really how I like it. In the end, this is much more in the spirit of the Ornette that we have all loved so much! As I wanted to have another "voice" on the recording, the wonderful sound and playing of Bob Mintzer on tenor sax was the perfect choice for me, and for this tune. It is yet again, the expression of another old and treasured musical and personal friendship. However, to have Bob on the album it required some scheduling and technical gymnastics to be sure. In truth, Bob recorded himself to my demo at a studio of his choosing in Los Angeles, and then, he sent me the files which Rob Mounsey and I edited into the principal demo track. What you now hear is the rest of the band performing while still hearing Bob's playing in the headphones. It was as if he was right there with us. Sometimes, one cannot adhere exactly to what most of us would like to be the highest ideals of Jazz. I just love Bob's beautiful sound, his phrasing, everything - it was a great, great pleasure to interpret this wonderful tune with him. I should also mention that, as I have done in the past, there is a composed soli that Bob, Rubén and I play before any soloing actually begins. This soli is comprised of actual fragments from Ornette's original solo on the original recording that I transcribed and then organized in a new way to suit my own purposes and the Latin interpretation. Though I forgot to mention it, this same device is used on "Latin Genetics" with Randy and Rubén, but that soli appears AFTER both solos have taken place. One more jazz great, Bobby Hutcherson. We miss him a lot. I think it is very tough for you to answer, but, if possible, please tell me about your relationship with Bobby's playing and his compositions, and why did you choose to record "Head Start" and "Rojo" and Andrew Hill's "Catta"? [SK] Yes Yujin, it is a sad, sad irony that some months after this album was recorded, Bobby Hutcherson passed away after a long and difficult battle with emphysema. So, if I may, I will tell you a little about each of the three tunes that originally appeared on Hutcherson's Blue Note recordings. Since the mid-'60s and my college years at U.C.L.A., I have always loved Bobby Hutcherson's "HAPPENINGS"(Blue Note) album from 1966, and in 1974, I had recorded his beautiful composition from that same album, "Bouquet" on the duet album "TWO FOR THE ROAD"(Arista) with Larry Coryell. The uptempo "Head Start" was to be the first of two songs drawn from this great old Blue Note album. To feature another vibraphonist seemed like such an ordinary idea to me that, at first, I thought about a couple of other options, but, when it came down to it, I wanted to have Mike Mainieri play on this one, and that choice could not have turned out any better. 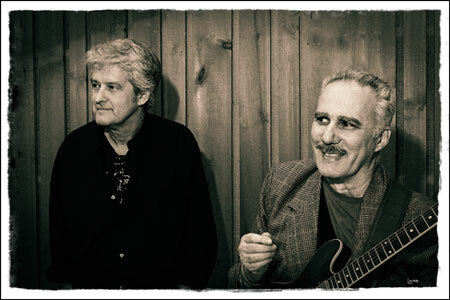 As a matter of fact, during the recording, Mike informed me that Bobby was ill and had been forced to cancel to festival dates that Mike and Bobby were to have done together. So, I knew that this was a very bad sign. Again, as a group, we return to a more transparent texture with just the vibes and the guitar. Though both are certainly chordal instruments, there really is no comping per se behind either solo, which allows for greater harmonic freedom. In essence, you have the lines of the soloist in a dialogue over Rubén's electric bass lines on this tune. As we arrive at the reprise of the opening montuno, we have the first of Mark Walker's fantastic drum solos. The second half of the album, if I might be allowed to refer to it this way, begins with another Bobby Hutcherson tune from the "HAPPENINGS" album. This one was titled "Rojo" and I had been yearning to record this tune for years, but I just couldn't figure out a way to do it without employing a keyboard. I had written an arrangement of it for the Caribbean Jazz Project thinking that the vibes and guitar could cover all the complex clusters, which originally came from Herbie Hancock's brilliant acoustic piano treatment of the melody sections. But, that arrangement was never rehearsed nor recorded for that group. So, I decided to do a more Latin oriented treatment for this recording, and knew that all of the keyboard parts would be handled perfectly, and with loving care by Rob Mounsey. Because of the density of the clustered voicings, I felt that any electric guitar sound would make a wash out of it all, and so, I decided that I was going to play my Martin MC-28 steel-string acoustic as the principal melodic voice of this tune, and this is what you now hear. The long acoustic guitar solo is followed by terrific solos from both Bobby Allende(conga) and Marc Quiñones(timbal) - all leading to a reprise of the melody, and a final montuno ride-out with Mark Walker soloing all the way. "BACKLOG" closes out with my interpretation of pianist/composer Andrew Hill's "Catta," which first appeared on Bobby Hutcherson's 1965 Blue Note album, "DIALOGUE." Many years later, I lent that very LP, along with an extra LP copy that I had of Cal Tjader's "SOUL BURST"(Verve)(1966) album, to Don Grolnick. It wasn't long thereafter that "Catta" became the opening track for my dear friend's glorious "MEDIANOCHE"(Warner Bros.)(1996) album. For me, that version became a classic, as it featured: Dave Valentín; Michael Brecker; Mike Mainieri; Andy González; Milton Cardona; Steve Berrios; and Don Alias. In order to completely separate my interpretation of this tune from Don's, the focus went from the acoustic piano to the steel-string acoustic guitar, as I hoped to add a greater sense of romance and mystery to the piece. I then composed several ensemble sections, with lush harmonies, influenced by Clare Fischer, and hoped to add the beautiful voice of Brasilian singer, Tatiana Parra to sit on top of these harmonies. Though the arrangement does include a specific timbal solo, the design of the arc of this piece is to feature the brilliance of Marc Quiñones and how he spontaneously interprets the written figure. His performance here shows him as the spectacular musician that he is!!! Once again, in order to record a piece of music like this some technological devices had to be employed. So, via pre-recording to my original demo for this tune, Tatiana's vocals were already done as was my acoustic guitar. So, when we all went to record, these crucial elements were there for us and it was as if we were playing live with them. That, to me, is how one would want to use the technology in the best possible way. Finally, do you have a message to the readers of JAZZ LIFE who are looking forward to this album? [SK] Yes, of course!!! Firstly, I would want to thank all the readers, both old and new, who have been following me and my recordings since the mid-'70s. I am very, very grateful to each and every one of you for your support and encouragement to continue to go forward. I hope that for each person, who became a fan from "PARTING SHOT" to the present, will find "BACKLOG" to be a logical and fulfilling extension of the past two albums. The continuous thread between these recordings should make for many, many hours of enjoyable and stimulating listening. That is certainly my hope!!! Again, my thanks to all of you for being so consistent with me. [SK] Ah, the simplest question, and yet the most difficult to answer with any degree of certainty. Honestly, in the immediate future, my plan is to whatever I can to support "BACKLOG" in the best possible way. In recent years, because of all the horrible travel changes since 9/11 that affect the traveling musician so adversely, I haven't been able to tour at all without considering losing a LOT of money doing so. This has been most frustrating and disappointing, but as a certain point, one must accept things as they are. Can I say conclusively that I can foresee ever being able to self-finance another recording of my own again? I surely don't want to utter the word "never" in conjunction with such a thought, but honestly, I really don't know. With the release of any new piece of work, there is always hope for better days and better times, but this remains to be seen.